Stanley Barker is a-busy and enthusiastic person who, after a career in human resource management, now spends much of his time working to improve the lot of both people and the environment. He is a man with a vision and the initiative to work towards his vision. He is quiet, systematic and dedicated to his task. 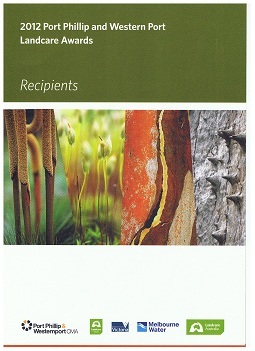 Stanley's desire to work in the environmental field came to fruition in 1996 when he worked with Damian Curtain to establish the friends of Herring Island, a small island in the Yarra River in South Yarra, becoming the inaugural Secretary/Treasurer Sixteen years later, Stanley continues in his role as Treasurer of the Friends' Committee. On his formal retirement from human resource management in 2005, Stanley embarked on a two year Conservation and Land Management Diploma at RMIT; Choosing a derelict area in East Kew now known as the Burke Road Billabong Reserve, Stanley led his fellow students to develop the Burke Road Billabong Reserve Management Plan and had the area gazetted for the purposes of conservation and recreation. Stanley became the inaugural chairman of the Committee of Management and now, after over five years of hard work by the plan, the Reserve serves as a best practice example of what can be achieved through bush regeneration. While Stanley devotes much of his time to Landcare, he also a volunteers and serves as a member of the Board of Management at the Victorian Indigenous Nursery Cooperative; he volunteers at the Equipment Recycling Network Incorporated in Ringwood and is an active participant and board member at the Box Hill chapter of the University of the Third Age. For over sixteen years, Stanley has been an encouraging, wise, inspiring and pragmatic leader who has trained others to develop their conservation and Landcare skills helping them to become landcare volunteers in their own right, devoted to caring for their local, natural resources.